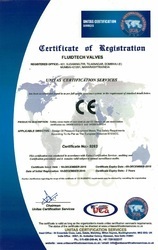 Fluidtech Valves incepted in the year 2004 based in Mumbai, is one of the upcoming manufacturer and exporter of the industrial valves. We cater our equipments to the varied industries which consists of Check Valves, Control Valves, Butterfly Valves, Forged Steel Valves, Safety Relief Valves etc. We export our products in various countries like Brazil, Malaysia, Saudi Arabia, Dubai, Qatar, Abu Dhabi, Oman, Kuwait, Nigeria, Zimbabwe, Egypt. The quality and the performance of the gamut are inspected by the experts for maintaining the precision in the quality. It is always ensured that the consignment is completed within specified period of time and all the equipments are made according to the requisite norms and standards. To facilitate our large client base all over India we accept payments through cash, money transfer through bank, letter of credit and demand draft. 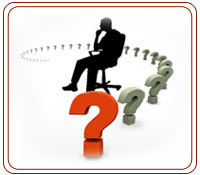 The final consignment can be packaged according to client specifications and details. 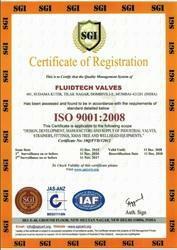 Owing to the active leadership of our owner Mr. Vijay Lakkundi is highly qualified with vast experience in valve industries. 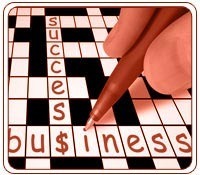 We are doing consistent growth in our business. Our mentor instructions have proved fruitful for the organization and due to his dynamic policy of reviewing our unit regularly it has improved our status as a modern production unit. Industrial valves, safety relief valves, ball valves, plug valves, gate valves and globe valves. We have with us advanced manufacturing facilities that allow us to offer diverse range of industrial valves as per the specific demands of the customers. 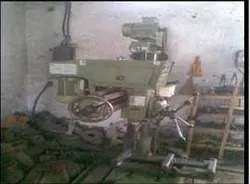 For meeting the in-hand production demands, we have manufacturing units in Mumbai with advanced machinery that has installation capacity of 10000 units. Further, for increasing production capacity as well as to lessen downtime of machines, we ensure the machines are well taken care by experienced personnel. The available support of in-house design unit including CAD/CAM software installed in our in-house design unit also enables us to design and develop as per requirement of clients. Our consistent business approach as well as client centric business policies have helped us to successfully match up to the industrial valve demands of our domestic as well as overseas clients. Further, our consistent approach towards meeting the customized demands of customers has also helped us to deliver solutions that match up to the process specific requirements of the customers.